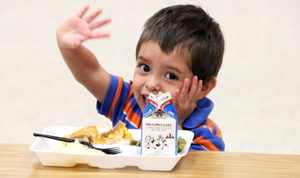 OKLAHOMA CITY (Oct. 2, 2017) – Oklahoma’s participation in the federally funded Summer Food Service Program increased 14 percent this year, resulting in 1.6 million free meals for children age 18 and under between May and August. 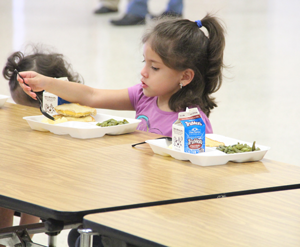 Almost 200,000 additional meals were provided this year over last year, in part due to a public awareness campaign, #FoodforThought, created by the Oklahoma State Department of Education (OSDE). The Summer Food Service Program, administered by OSDE's office of child nutrition, grew this year to 677 sites across the state, an increase of 5 percent. The #FoodforThought campaign emerged from collaboration between Hofmeister and her Faith-Based Advisory Council, one of several stakeholder groups with whom the superintendent meets regularly. Sponsors for this year’s program rose 12 percent to 182, and the total number of participating schools increased 13 percent. #FoodforThought promotional materials included postcards, posters and door hangers. Oklahoma City-based Tyler Media provided metro-area bus benches and produced radio public service announcements in English and Spanish. Bookmarks courtesy of the Metropolitan Library System were also part of the initiative. The Tulsa-area United Way and United Way of Central Oklahoma partnered with OSDE on the distribution of materials.